Willie Taggart is leaving the University of Oregon to become head coach of Florida State. Taggart, 41, from Bradenton, Florida, agreed to a deal with the Seminoles after meeting Monday with them in Arizona, reports in the Orlando Sentinel and elsewhere indicated, and the Ducks players were expected to be informed of his decision in a meeting Tuesday afternoon. 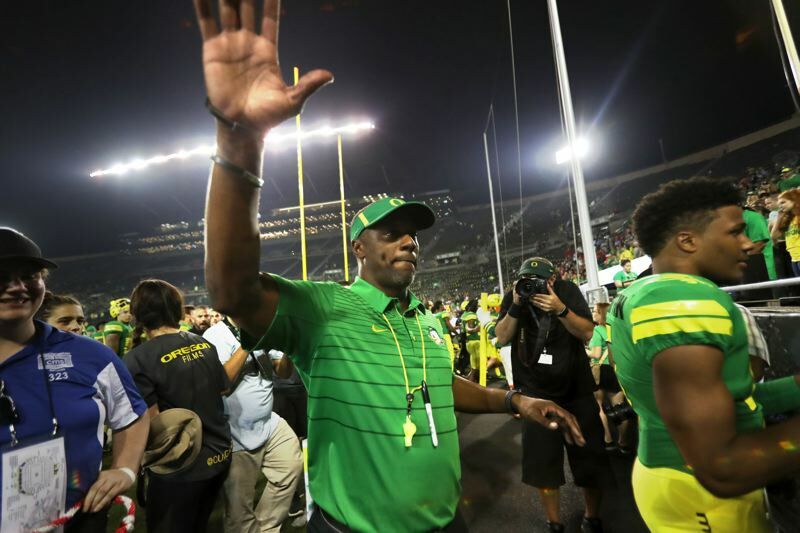 Taggart coached one season at Oregon, guiding the Ducks to a 7-5 regular-season record and berth in the Dec. 16 Las Vegas Bowl against Boise State. Offensive line coach Mario Cristobal will serve as interim UO coach for the bowl game. Taggart was coach of South Florida from 2013-16, after serving as coach at Western Kentucky from 2009-12. Taggart replaced the fired Mark Helfrich as Ducks coach on Dec. 7, 2016. His overall record as a head coach in college football is 47-50. Taggart, whose only Ducks team placed fourth in the Pac-12 North Division with a 4-5 mark, will owe Oregon a $3 million buyout, plus about $1.5 million of the $1.7 million the U of O paid to buy out his contract with South Florida. Taggart reportedly was offered a contract extension from Oregon that would pay him $20 million over five seasons. At Florida State, he replaces Jimbo Fisher, who led the 'Noles to the 2013 national championship. Fisher has been named coach at Texas A&M.